I’m sorry you’re having trouble downloading or printing my printables. I absolutely want my files to be accessible to everyone, but I do not e-mail files. Thank you for not asking me to make an exception. Please try all of these options before emailing me, ESPECIALLY #2. I certainly want to help you, but 99% of the time, one of these solutions does the trick – and you’ll save us both time if you work through these options. I can’t tell you how many times people have told me they’ve tried everything, but skipped #2. It almost always works, and it’s really easy. If you’ve tried everything here with no success, please feel free to e-mail me at anna(at)themeasuredmom(dot)com. I’ll get back to you as soon as I can. You try to print, and the file prints with funny squares and text instead of how it should really look. One of these tips usually works! My blog does the best with Google Chrome. You can download it for free. Internet Explorer almost never works when downloading from my blog, and I’ve had problems with Firefox as well. I do not have experience with Safari. #2 Save the file to your computer first. This is very easy to do. Just RIGHT CLICK on the word HERE (or on the image that says “To get your free printable, click HERE.”). Then choose “save link as…” You can change the file name and save it to your computer wherever you’ll be able to find it. (And you can always come back to get it again if you lose it!) Then open from your computer to print. #3 Make sure you have the most current version of Adobe Reader installed. This is the only solution when my files aren’t printing correctly, and it’s very easy (and free!) to do. Just click on the above image to get Adobe Reader for your computer. After you install it, you may need to save my files to your computer first (see previous tip), then OPEN WITH ADOBE READER to print. #4 Make sure you are starting from the blog post, NOT from the link to a pdf. If the URL you are starting with ends with the letters “pdf” you are in the wrong place. #5 Do you use a Mac? 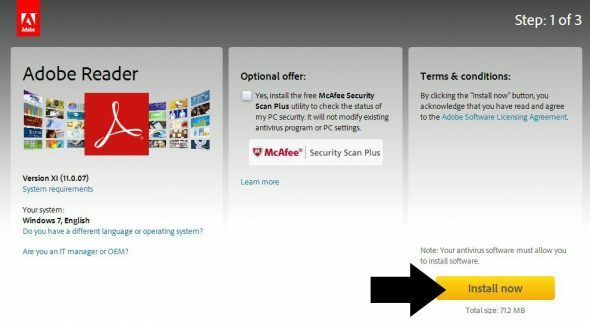 Make sure that Adobe Reader is your default for opening files. If you print a reader or other booklet-type printable, be sure you’re printing front to back. I will always tell you if you need to print a document front to back. This option will look different depending on the type of computer you are using. If you can’t get it to print correctly using the options available on the default print screen, download to your own computer and print from there. If you open with Adobe Reader to print, you should be able to find the correct print options. Be sure to visit my free printables page to see all I have to offer! Do you have any more downloading or printing tips? Please share in the comments! Hi Anna, my husband was able to download it for me! Thank you so much for making these available. My daughter is having such problems, not sure why. My first two girls never had any issues with writing. 🙁 Anyway, thank you, thank you! You’re very welcome, Erin – so glad it worked! For the first time, my daughter was able to write a capital A. After ONE day with the worksheets! So happy! Thank you! Hiyas, thanks for all the wonderful freebies! I am trying so hard to print off some of the two sided spelling books for my girls, but the print option in GOogle Chrome does not have a flip option! Any ideas? I know what you mean. I recommend downloading to your own computer, then opening from there to print using your own printer’s dialogue box. Does that make sense? If you mean the dotted lines on my level 2 and 3 handwriting pages, they will NOT print if you open from the site and just print. It’s very weird, but I have the same problem. However, I’ve always gotten them to print if I download to my computer and open from there. A weird mystery I wish I could solve! You and your website are fabulous!!! Thank you for all you have done to inspire and assist us in giving our littles their very best start/chance in their education! I will be a forever fan of yours. Your resources are great! I am having a little trouble downloading and saving. It is asking for a password to save the document (I will colour print at school tomorrow). Hi Brooke, That definitely shouldn’t happen. Are you sure you’re clicking on the right thing and not an ad? Always make sure you click on the word HERE when downloading. If you have problems when doing this, would you send me a link to the post and I’ll check it out? Thanks! I think it might be because I’m using a mac. I press ‘here’ and then open the document on preview but then when I try to save that document it asks for a password. Weird. Wow, I have no idea. I’m a PC user. Hope you get it figured out! I’m having an issue with the free picture card sets not downloading, saying “Failed – No file”. Yes I’d love to help, Carol! What have you tried from this list of suggestions? Hello! Ana, I can not download the book on Top 10 Secret to Teach english. Did you try all the tips in this post? Thank you very much for sharing your experience ! I am Latvian and good luck to you always , all over what you are doing ! Thank you so much, Inara! No. You can download them here. Hi, Anna, thank you so much for sharing your materials. it’s so fruitful thanks a lot. I am having difficulties with the “Upper and Lower Case” letter pages….. I am looking right at them, but i don’t know how to download them so that i can print them?? Can you please help me with this so i will know how to do it for future reference too please!!! Hi, Kelli! Did you try right clicking on the download link and choosing “save file as”? Hello! I am using Chrome and Adobe on my Android phone. I do keep getting a msg that I need to save to my device, but I have no idea how to do that on my phone (no “right click”). I’ve been using your stuff for years, and I recommend you to all mamas! It seems this has only been an issue for about the last year. Very strange. My laptop takes forever to do anything. Life is just quicker and easier (on most sites) from my phone. Any help is appreciated. As someone who has a hard time remembering to keep my phone charged, I had to ask some other bloggers for help on this one. One said that if you click and hold your finger on the link on a phone it will give you the option to download. Another said that she always tells her readers that it’s best to access printables from a computer – but I know that’s not what you want to hear! I hope one of these tips helps! Let me know if you’re still having trouble. I have never had success downloading from TOM on my phone, though I have no issues with This Reading Mama. I have to use my computer to download from this site. I am having trouble printing the number sheets. It says on this page that I do not e-mail files. Did you try all the tips suggested here? Did the same thing happen when you used Google Chrome? You have great things on your blog and I’d love to use them. However, no matter what I try, I get a message; Can’t open PDF file. I use pdf’s from other blogs all the time. I’ve tried all your suggestions, but to no avail. Please help! What browser are you using? And what happens when you RIGHT click and save to your computer first, the open? What browser are you using, and what happens when you RIGHT click and choose “save link as”? 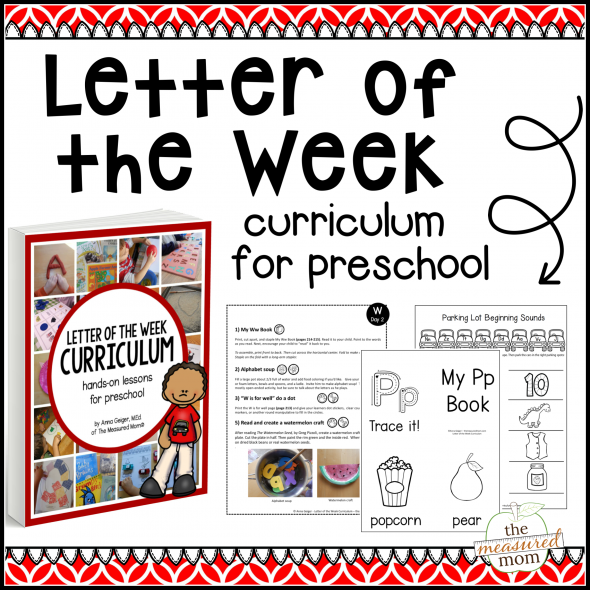 First of all, THANK YOU for these resources; I am a preschool & pre-K teacher and my students love these printables! I’ve also shared these with their parents & they’re a fan as well. =) What template do you use to create the cards? I would love to use it to create clip cards for my students (I also teach Yoruba to 7-10 year olds & I think they would find this helpful). Hi, Omolara! I’m so glad you can use my resources. 🙂 I create my own templates for my printables (which I don’t share for copyright reasons). It’s very simple to do – just create boxes and tables within Microsoft Power Point or Publisher. I was on the measured mom website and brought reading the alphabet. How do I get it. I did not see it download anywhere. Reading the Alphabet is from This Reading Mama. You can email her at becky@thisreadingmama.com to check on your order. I printed the Race to the Pond CVC game boards but when they printed all the letters were squished together. Help. I love your resources and I am able to download them. However, I am unable to print them off my school printer. It tells me that they require a PDF password. Is there anyway I can print them off? I don’t know why that would be, Lyn, as you only need a password to edit the files. I would ask the tech person at your school. Do make sure that you’re downloading the files to your computer, then opening from there to print. Maybe if you open with Adobe Reader it will let you do it. I’m really unsure what the issue is, though – sorry! Thanks for sharing your resources!!! I love your website, however I am having trouble downloading the froot loop words worksheet and the 4 in a row games for oo words. I have tried using Chrome, saving to my computer, have the most current version of Adobe, and am coming from your site to download it. I have tried for the last couple of days and have had no luck. Do you have any suggestions? I would really love to use these in my classroom. Hi Robin! What happens when you RIGHT click, choose save link as, and save to your computer? If you can help me understand what’s happening when you do that, that would be helpful. It saves a link wherever I save it but when I try to open it, it says it cannot be done and to pick a program to allow me to open it but will not open at all. Have you downloaded Adobe Reader to your computer and tried to open the file using that program? Hi, thanks for the material. I’ve saved the PDF in computer and used kind of setting to print but it doesn’t print as seem on the PDF. The print out always have 1.5 inches blank space before the words. I don’t know why..
Are you opening and printing with Adobe Reader as described in this post? Anna, I’m really enjoy your page, it is extremely work for me and my students. Thank you so much, Isabel! You don’t need passwords to open or print any of my printables – just to edit them. On a Mac this is usually happening because it’s set to open pdf’s with Apple Preview. It should be set to open pdf’s with Adobe Reader. I don’t know if this is the same problem on an iPhone. Just wanted to let you know that this is the second time I’ve tried printing something from your site and the directions are either partially or completely covered by a soild black box. I’ve tried all the suggestions in your “if your are having trouble printing” area but nothing changes corrects the problem. Thankfully i can easily explain the directions but I wanted to let you know. Thanks again for making my life a little easier with your awesome printables! What happens when you use Adobe Reader to print? HI Mary Ann! If you are printing something you plan to use a long time, such as a game or a printable book (that kids are not going to color), I would use light cardstock. Otherwise, regular paper works fine! If you are going to laminate, always use cardstock. Loved the details you have shared. Hi Sudha! 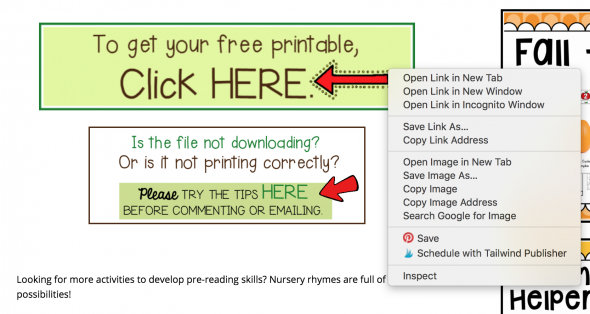 I would check my free printables tab to see if I have what you need. It’s on the menu bar near the far right. Let me just say that you are the bomb.com and some. I am a second grade teacher and I have students who cannot read. I have NO earthly idea how to teach a child to read and I have been trying all sorts of things. I love the fact that you are sharing these things because looking for resources that will get and keep the children engaged is a very daunting task. The things we get from our district are so boring to these students, it’s no wonder they aren’t engaging in conversation. Thank you so much for sharing your resources with the rest of us and helping make our lives easier and better. You just don’t know how much of a lifesaver you really are. Thank you so much!!!!!!!!! This is such a day brightener! Thank you so much for your kind comment! Hello! I am trying to print some valuable resources for my students with special needs, specifically time, money, and place value. I have gone through the tips- Google Chrome, updated Adobe, etc, and still have not had luck. When I click on the green box that says “CLICK HERE ON THE FREE PRINTABLE”, a pop up asking me to subscribe comes up. I enter my information (email and name) and then it says submitting and has the ellipsis (…) which goes and goes and goes and NOTHING ever happens. Any other suggestions for the print and play activities? THANK YOU! I’m sorry you’re having trouble, Chrissy! Does the computer you’re using have an ad blocker on it? That can keep the form from submitting. If it’s a school computer, that may be the issue.